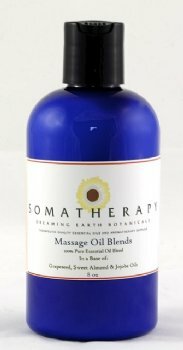 Australian Sandalwood Essential Oil blended with our Massage Base of Grapeseed, Sweet Almond and Jojoba carrier oils. Sandalwood essential oil is uplifting and relaxing and is beneficial for all skin types. This Sandalwood Massage Oil is an excellent skincare oil, useful for dry and damaged skin and smells heavenly -- rich and buttery and exotic. Treat yourself with this sumptuous Sandalwood Bath and Body Oil.